Why won't your cat use the scratching post… or the litter box? Are commercial cat foods okay to feed your pet? Can you change scratching and biting behavior? How do you care for an abused cat? This newly revised and expanded edition of the now classic handbook on cat care gives you honest, sensible answers to the questions you - the cat owner - really ask. 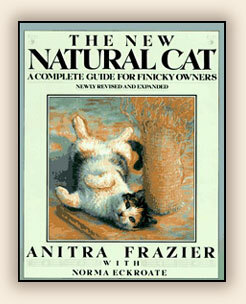 It is indispensable for anyone who loves and cares for a cat. "Extremely practical…covers common and mundane problems in a unique way." —Richard H. Pitcairn, D.V.M., Ph.D.
groomer, and behaviorist. She lives with and cares for eleven (sometimes more) cats.